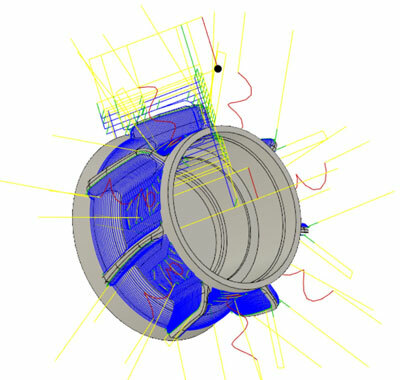 CAD, Computer Aided Design software, is at the start of the projects we work on. From here we can accept client CAD files or we can produce models from supplied drawings. If you wish to discuss your requirements with us, we can help you to develop the part from the beginning. 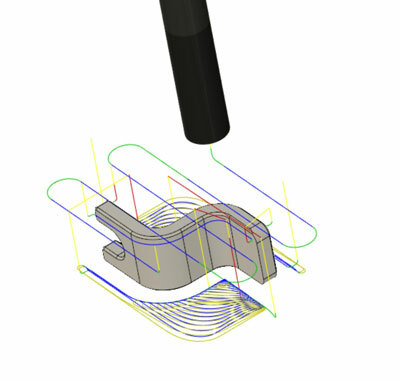 We can prove the fitment of all parts of an assembly before a first off or an initial proof of concept is produced. A test rig can also focus on the fit and function of specific mechanisms and features. These can be to test the size, style, look and feel of a component. 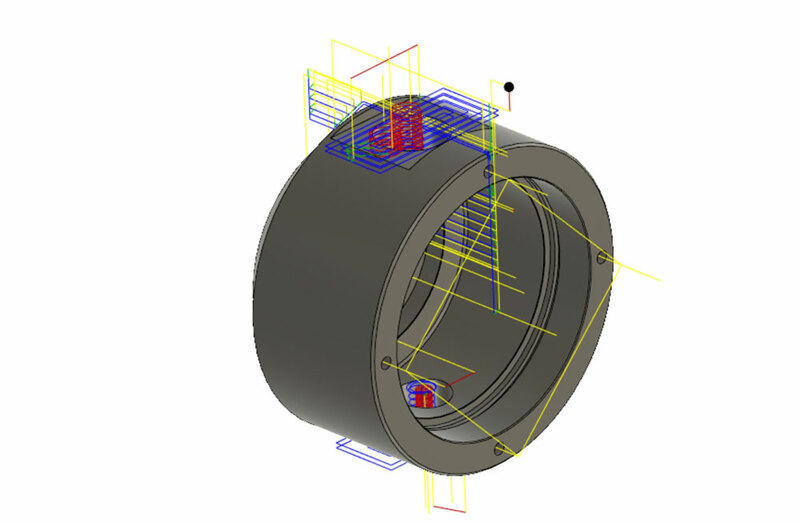 Once the prototype is proven, the final stage is to optimise the CAD model for manufacture. CAM, Computer Aided Manufacture is the back bone of our operation. 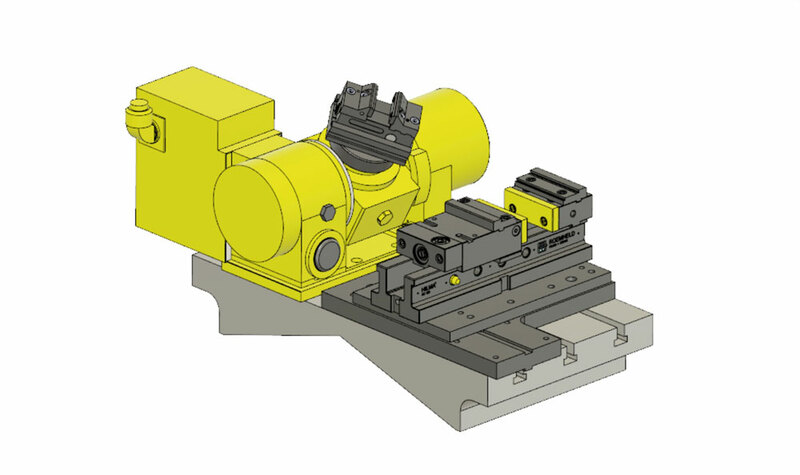 Its used to generate tool path and produce fully coded programs using geometry directly from our CAD models, using the latest strategies for removing material at a high rate while maintaining close tolerances for finishing operations. 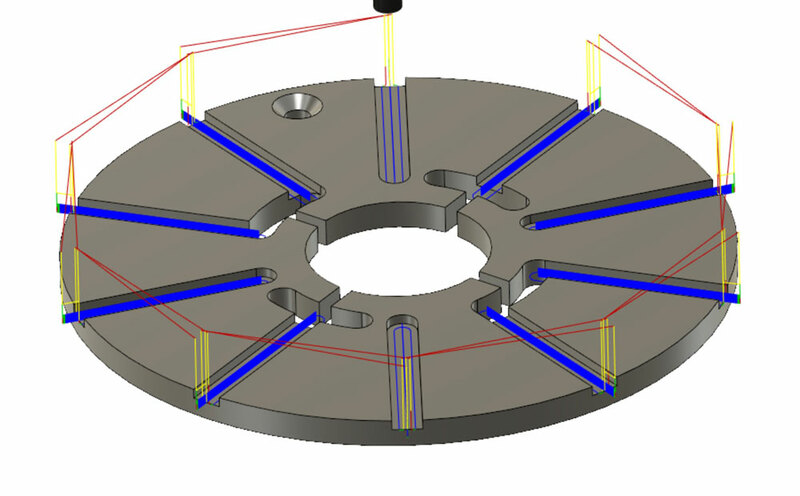 We use simulations and graphics of the prepared cutting code before loading onto the machines for verification of the chosen set up and how the component and machine will interact during machining. We can also start to set up jobs and program the required code directly into the machine control while the drawing office works on generating the complex geometry mill / turn code, which eliminates a potential bottle neck of setters waiting for programs. Operators set up sheets are then printed for the various operations and are then retained for future repeat orders. The data collected from the various cutting operations is then fed back to the drawing office as a closed feedback loop, helping us to develop our toolpaths and maximise efficiencies.